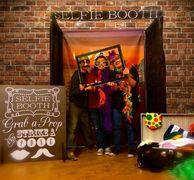 “Photo Booths” covers a broad array of photography equipment. 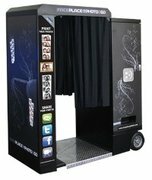 Could be selfie booths, selfie booths with cameras and printers, cameras with a green screen background, plain old cameras with a backdrop and the good old fashioned self contained phot booths. Well, we have it all and most everything in between. Call and discuss your options including hashtag printers and real-time slide shows. We do all kinds of venues, in fact we once did a memorial service.